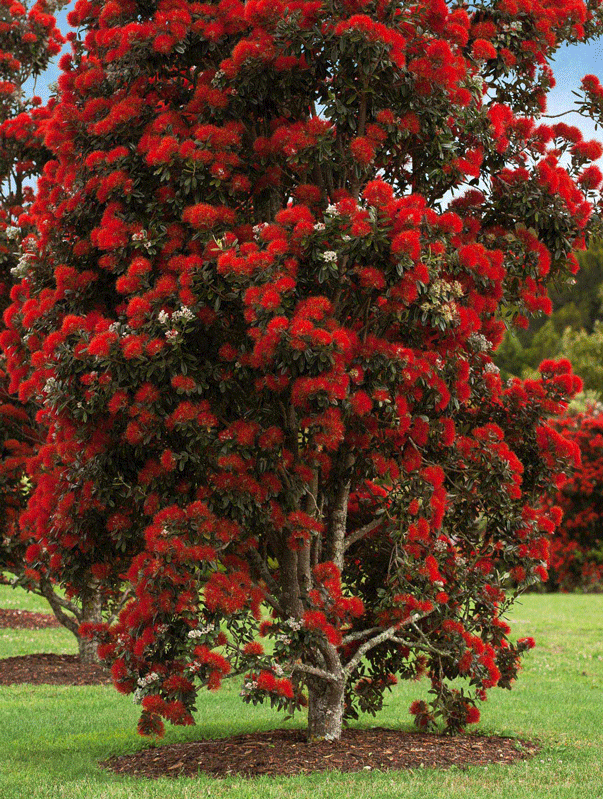 The NZ Christmas Tree is an evergreen tree from the Myrtle family and normally likes coastal weather to grow in. 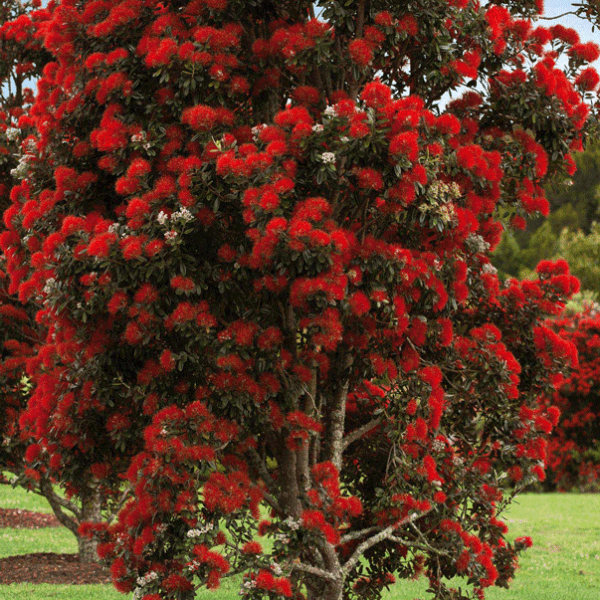 It produces stunning and bright red flowers in a mass of stamens, normally over summer time. These bushes can be used as good screening plant if pruned regularly, otherwise, they can grow to be up to 5 metres high.